In his freshman campaign, Brock Wooderson earned the kind of experience at the highest level of which many freshman can only dream. The No. 7 man on a state champion squad, the frosh went home with a team medal in 2017. He followed it up with a 16:58.00 personal best at Nike Cross Regionals Midwest in Terre Haute, IN, and then broke 10:00 in the 3200 on the track with a 9:59.08 performance at Marion Freeman. Now a sophomore, Wooderson is down to 16:25.30, but his season paints a picture of consistency that should do him well on Saturday. Wooderson turned in a 16:43.50 effort at Rim Rock before running 16:30.99 on the very course he'll be traversing this weekend and following it up with his 16:25.30 personal best on a soft course at the KC Gold Conference Championships. Wooderson has the performances, the big meet experience, the training program, and the chops to bring home an individual medal on Saturday. 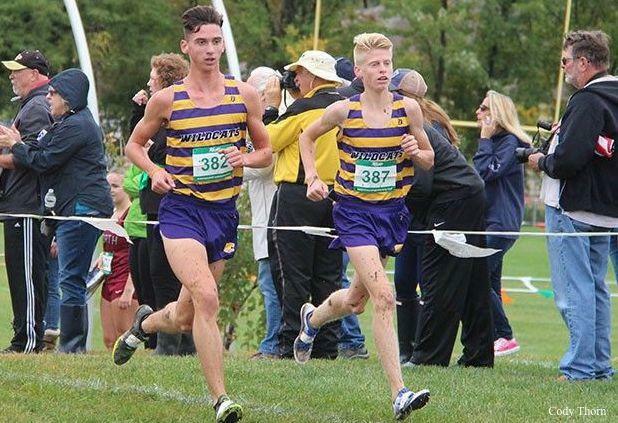 Alongside teammate Gabe McClain, a top-10 contender, the Blue Springs boys should be able to go 2-for-2 on the award stand.